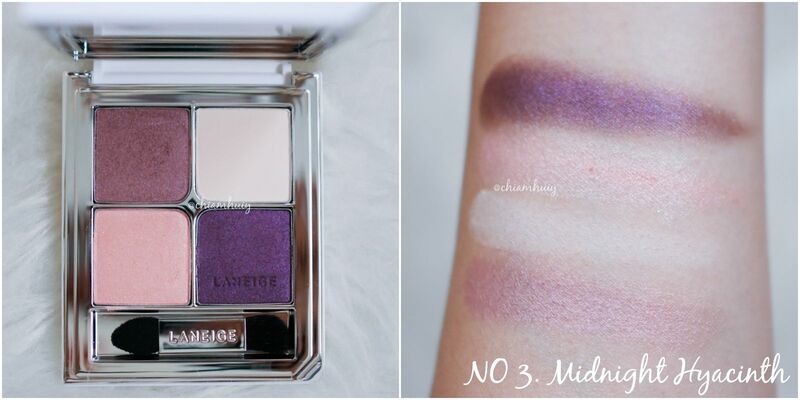 I am pretty sure many of us are very excited about the new LANEIGE Ideal Shadow Quad. 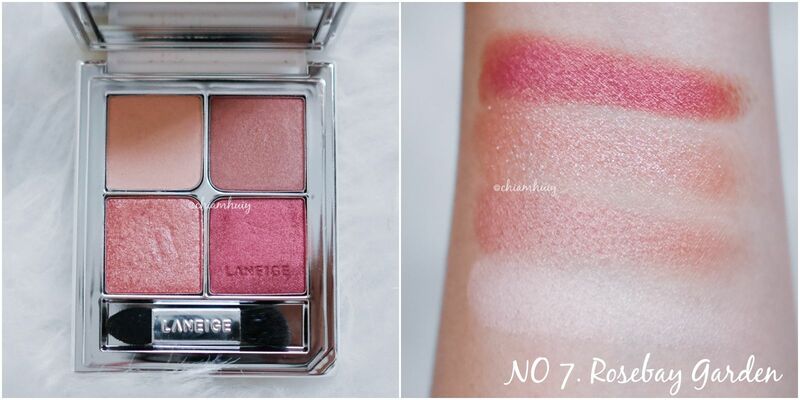 Not only has it been revamped with a brand new packaging, it also launched with 10 incredible palettes that can definitely suit different ladies, characters and occasions. 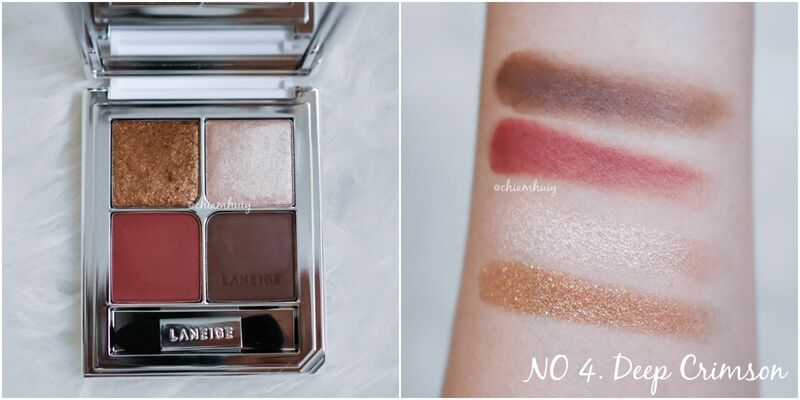 When I first got these 10 palettes, I was thrilled and eager to find out what has changed, and are the colours still like before? 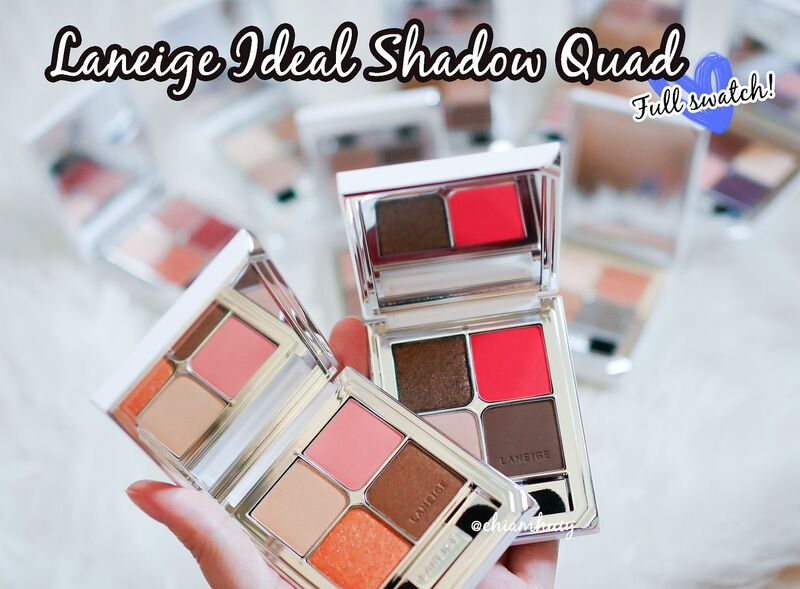 You'll be curious, what are the differences between the older LANEIGE eyeshadow palettes and these new Ideal Shadow Quad? The only disappointing issue about the Ideal Shadow Quad is the brush that comes with it. The synthetic brush end can feel a little harsh on the skin, thought I still use it because I'm lazy to use a different brush (hahaha), and I often do my makeup on the go. So it doesn't mean the brushes can't be used, you just have to be gentle when you apply the eyeshadow. Other than that, I love the new collection! 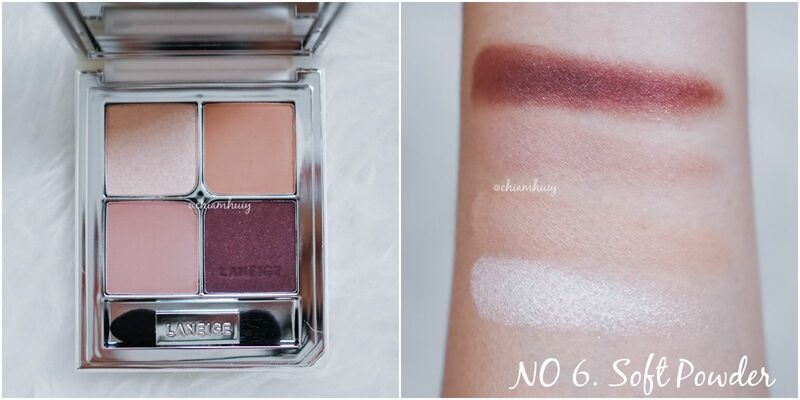 Most of the colours are very creamy and come off pretty easily. I'll let the swatches do the rest of the talking. 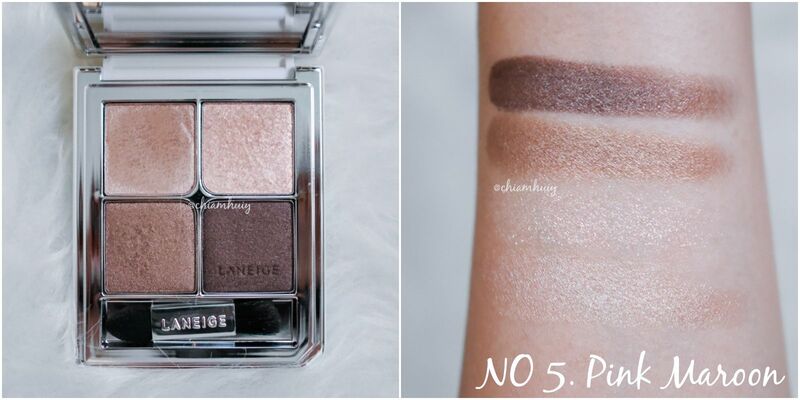 So here you have, the 10 LANEIGE Ideal Shadow Quad, with their swatches. The first shade, going clockwise, starts from the bottom. 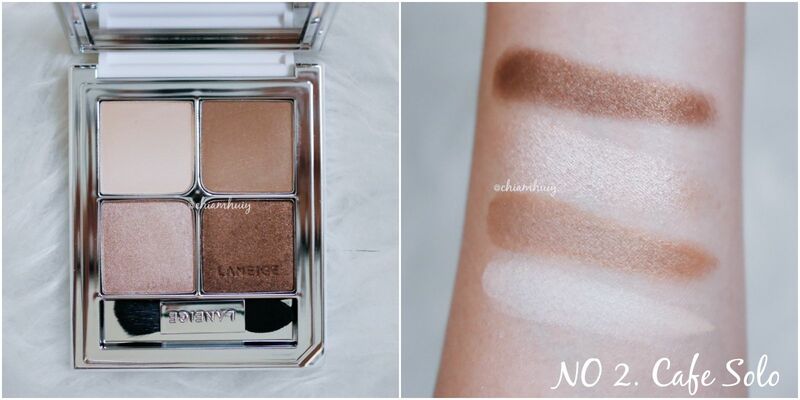 I honestly can't take my eyes off the pigmented shimmery gold. This is perfect for a night look. 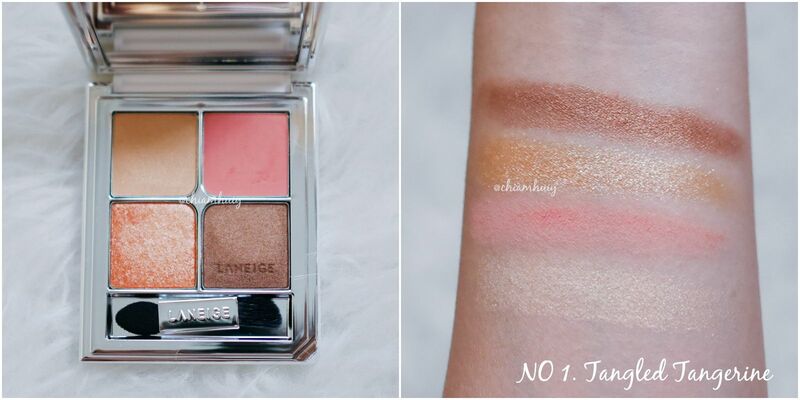 My favourite Rosebay Garden palette has also been ravamped, with the colours leaning towards a peachy pink tone. 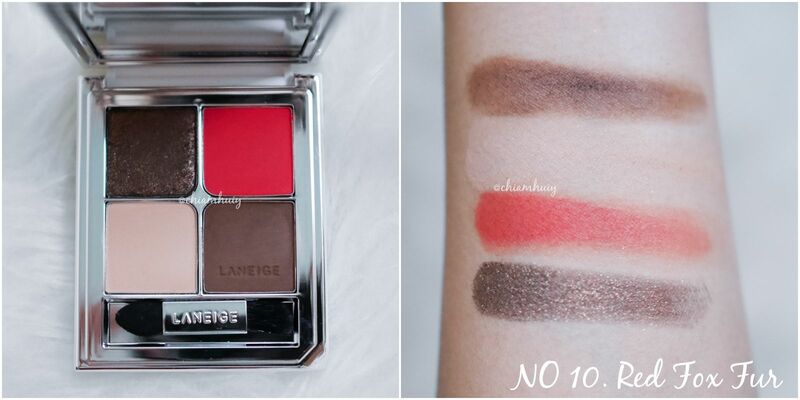 The darkest shade in here has take on a coral undertone as compared to the previous one, which is perfect for me! All the glitters and shimmers are in here! 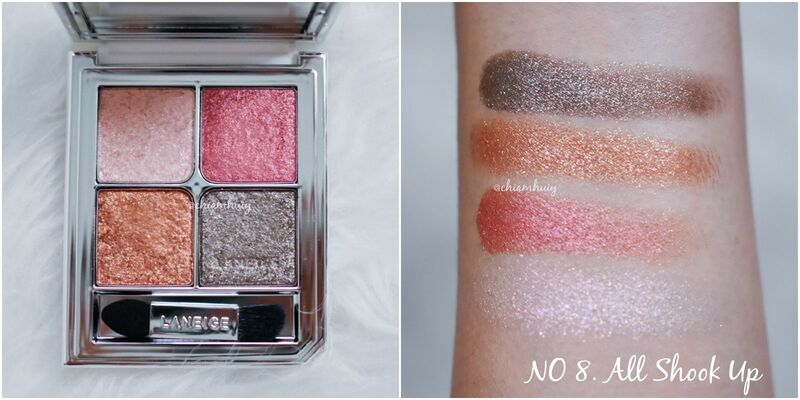 Star-struck with this palette. When I first saw this, I was a little surprised by that glaring red as it stood out amongst the three other earth tones. What you are supposed to do is to make use of the red to draw a wing liner. Quite a fun challenge for our usual boring makeup don't you think? PS: Please pardon the watermark as they're measures against selfish people who steal pictures.